This 20 in 1 Arduino UNO compatible Robot DIY Kit provides robotic experiments on a single platform. 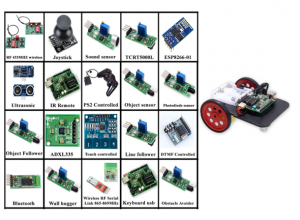 Various Robots can be built using this kit spanning from Wireless such as RF, Bluetooth, IR and 2.4 GHz control to touch, sound and Accelerometer controlled robots. This is specially designed robot kit for all kinds of robotic enthusiasts, from kids to adults that comes at a very affordable cost. It comes along with an integrated Arduino based Robot control board with integrated motor shield. The board includes one L293D on board for running DC and Stepper motors with upto 1 Amps of current discharge capability. The Robot Control Board is completely compatible with Arduino IDE and has full pin compatibility with Arduino Motor Shield library. The board is preloaded with Arduino Uno Bootloader and can be programmed with other functionalities as well such as interfacing sensors, UART communications, I2C interface and many more. Refer the below link for more understanding on setting Envionmental variables. 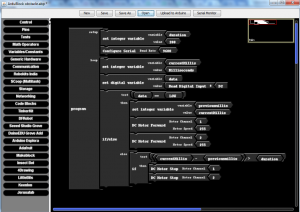 Ardublock is a plug-in of Arduino programming environment which is kind of Graphical User Interface for arduino IDE. 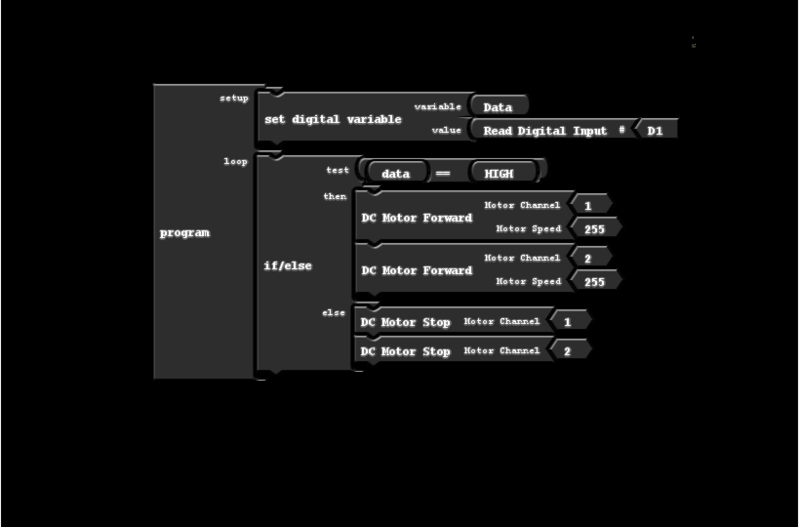 ArduBlock allows user to visually program the arduino code with the use of code blocks. To understand it better, it basically lets the user to prefer logic to language. To install the Ardublock, first, the user needs to install the arduino IDE. Robokits India has customized the ArduBlock source in order to make it working in order to drive their Easy to use, Versatile Robotic Kits. To get our customized Ardublock working in Arduino IDE, the user needs to install the version of Arduino IDE 1.8.3 or later one. 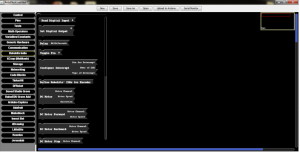 Ardublock is a Plugin of the default Arduino IDE, so the user needs to have Arduino installed on computer to run it. The “Arduino” folder path (in above path) can be changed according to default Arduino sketchbook location.This is a folder on computer where sketches and libraries are saved by default. To find your sketchbook location, run Arduino, and open Preferences by going to File > Preferences. Also if user is installing Arduino in the windows from the first time there may not be an Arduino folder in the Documents. In that case you can simply run a simple example code from Arduino IDE. If user does not find any folder inside C->Users->Documents->Arduino, user can create an empty folder chain and rename them as per above path. Run ArduBlock by clicking Tools > ArduBlock. If the user doesn’t see an entry for ArduBlock here, he/she has to double-check to make sure the directories are all correctly typed and cased. Robokits India has customized ArduBlock source so that it can be used to work with the robot boards available at robokits India. Here is a simple snapshot of Robokits India factory block. Click on Robokits India factory member to drag and drop the customized “Robokits India” code blocks. 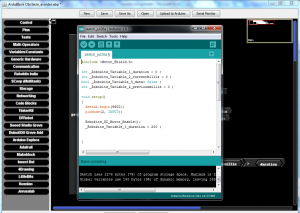 You can set the blocks according to your logic of the program.The screen will look like the image given below. Usage and basic functions of remaining dedicated blocks of Robokits India factory block members are explained in Usage of Ardublock section. “Configure Interrupt” is block for interrupt having three attributes namely “Pin for Interrupt”, “Name of ISR” and “Type of Interrupt”. DC Motor is most widely used Robokits India block which can be configured for upto 4 different channels, motor speed in the range of 0 (Minimum) to 255 (Maximum) and “forward/backward” direction. The user can interface upto four motors for a building robot which can be selected by drop down menu of Motor Channel connector. User can set the speed of motor from minimum 0 to maximum 255 by manually typing in Motor Speed variable. 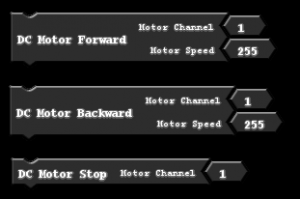 Like Motor channel direction of motor can also be selected by drop down menu for either forward or backward. For defined direction (Forward, Backward or Stop), there is dedicated Robokits India block namely “DC Motor Forward”, “DC Motor Backward”, “DC Motor Stop”. 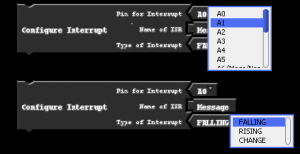 One can set the IR Interrupt pin and select the input pin among the Digital Pins available in Arduino Uno and Mega. For the configuration of serial baud rate “Configure Serial Baud Rate” block is used. One can select the appropriate baud rate from the drop down menu. For serially data print on serial monitor, One can use “Serial print”block. “ Configure PS2X” block is used for the configuration of 2.4 GHz wireless Play Station 2 style controller . For the scanning of the new values “ Read PS2X Gamepad “ is used. 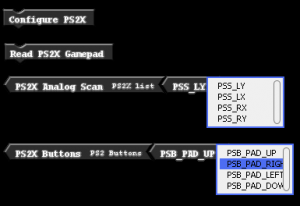 User can define the analog pins for the left X,Y axis and right X,Y axis in “ PS2 Analog Scan”. And same way user can also define PS2 UP, RIGHT , LEFT , DOWN in “PS2X Buttons” block. For the configuration of ultrasonic sensor “Configure Ultrasonic Sensor” block is used.And for the distance measurement “ Ultrasonic Based Distance” is used. “Configure RC5 Pin “block which is connected to the digital pin of the Arduino. Robokits India gives credits to ArduBlock which can become a great learning tool if you prefer logic to language. This block programming method enables people who even do not know much of programming language or hardware but keen to make robots based on their own logic.